Is it time for an oil change? Don't have time to do it yourself? Drop off your vehicle at Bustard Chrysler for fast and efficient service. You can drop off your vehicle any time with our convenient 24-hour vehicle drop off and even catch a ride to work with our shuttle service. The best part? Every fourth oil change is free when you book the previous three with Bustard. Our professional and highly trained service technicians will take great care of your vehicle so you can sit back and relax. 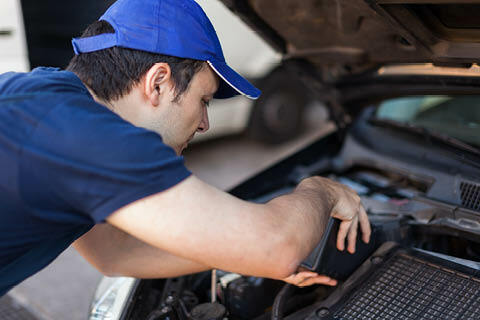 If you're looking for an oil change in Waterloo, leave it to the experts at Bustard Chrysler. Drop by 575 Davenport Rd, Waterloo, ON or call 519-884-5888 and experience the Bustard Chrysler difference today. We offer "Getting to Know Your Car" nights. 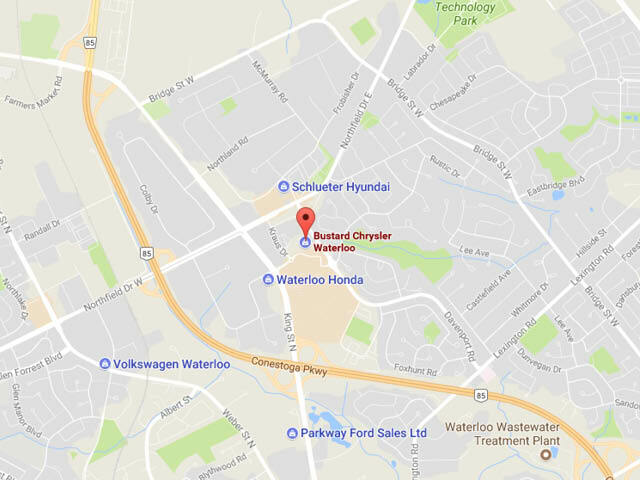 When you book your first three oil changes in Waterloo with Bustard Chrysler, your fourth one is free. We also have a 24-hour vehicle drop off service for your convenience. Need to get to work on time? No problem! Our shuttle vans run the entire day to get you where you need to be while your vehicle is with us. Our highly qualified technicians provide exceptional service in a timely manner no matter how large or how small the job. Our team is dedicated to providing top-tier customer service and high-quality work on both new and used vehicles. Allow us to demonstrate our commitment to excellence when you book an oil change with us. The team at Bustard Chrysler grew up in the area, and want to give back to the communities that helped raise them. Bustard Chrysler is proud to support local minor hockey teams through the Dodge Caravan Kids program, local arts and culture through Drayton Entertainment, and community social services. We appreciate the business from the community and show our thanks by supporting them in kind. Need a replacement part for your vehicle? The parts department at Bustard Chrysler maintains a comprehensive inventory of high quality genuine OEM parts as well as Magnetti Marelli part for your vehicle. In the event that you can't find the part that you're looking for in our inventory, we will order it in and get it to you in a timely manner. The Bustard story began in 1947 with the purchase of a small dealership in Matheson, ON. Now, with Bustard Chrysler in Waterloo since 1994, the Bustard brothers still maintain that the key to success is through reputation, the earning of trust, and the keeping of promises. You'll see that commitment shine through in the excellent service and quality vehicles that Bustard Chrysler has to offer. Trust Bustard Chrysler for all your automotive needs no matter how big or small, there's a reason we're the premier new and used car dealership in Waterloo. We'll get you driving away in the new or used vehicle of your dreams and can guarantee you'll be coming back to us for all your future services and purchases. Stop in a see us at 575 Davenport Rd, Waterloo ON or call 519-884-5888 and experience the Bustard Chrysler difference. The team we dealt with was amazing. Nathan was eager to please and not pushy at all! James, the sales manager, made sure all promises were kept and went above and beyond to make us happy. Chetna in finance was also incredible! They seem to genuinely care about making you happy. I highly recommend Bustard Chrysler! This was my fourth car purchased from Bustard. I literally called Jeff on the phone and told him what I wanted: new 2017 Jeep Wrangler. He handled everything from finding the perfect vehicle (loaded! ), coordinating with financing, everything! Their service department is also top notch. I highly recommend them and will continue to purchase from them. Bustard Chrysler took away a good 90% of the stress in buying car. The staff was fantastic and extremely helpful. Sean, Kyle and Steve in particular were absolutely amazing! They were very patient and clear with what the steps were and overall, I was extremely happy with the whole process! They went above and beyond making sure I was good with everything and made me feel comfortable. I highly recommend Buster Chrysler for anyone buying a new or used car!